We’re what professionalism sounds like. The perfect soundtrack to the best day of your life, spun with your wedding or event in mind. 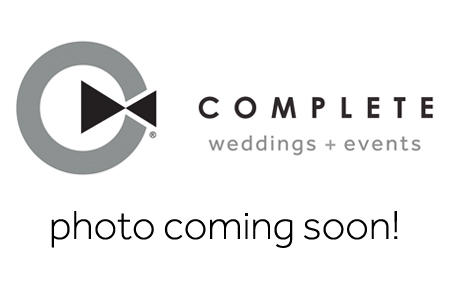 The DJs of Complete Weddings + Events Springfield will keep you and your guests dancing till the reception ends. How would you describe your DJ personality/style? While I may not be SUPER outgoing, I love to make people happy and I’ll do everything I can to make sure your special day goes smoothly! List one or more fun facts about you that most people do not know. While my major is technically pre-med, I am more interested in going into a genetic counseling/research route. Why do you like performing at weddings? I love helping make someone’s special day go smoothly and playing a song that gets everyone on the dance floor is an awesome feeling. Tommy and Hannah! Tommy danced with us and really engaged with the kids! Hannah kept me apprised of changes coming up, announcements and kept the flow smooth. What a fantastic experience! I joined Complete as a DJ just because I needed another job. I stayed with Complete because I learned that this isn’t just another job. There’s not a lot of jobs that really let you get to know people beyond just how their day is. Being a DJ, I get to know people on a deeper level. As I get to know a couple and learn more about them, it makes watching their big moment and being a big part of it, that much more special. I like to perform at weddings because honestly, weddings are a lot of fun! Getting to dance the Wobble with a couple and their friends and family is always a lot of fun. I would describe my personality as outgoing and carefree. I’ll do my best to make your big day memorable in all the right ways! The song that best describes me is Stronger by Britney Spears. Life may be stressful, but I’m always stronger than yesterday. If Britney can get through 2007, then I can get through my last semester of college. Some fun facts about me are that I’m Jewish, but my favorite food basically ignores most of the Jewish dietary restrictions (it’s tacos), and I do aerial acrobatics in my spare time. I can’t wait to work with you! From big days to school dances, bat mitzvahs to corporate gatherings, our Complete Weddings + Events Springfield DJs work with you to create the perfect event, with professional party motivation and expertly coordinated announcements.